Star Wars Darth Vader Dark Side Roast Coffee, available at ThinkGeek. 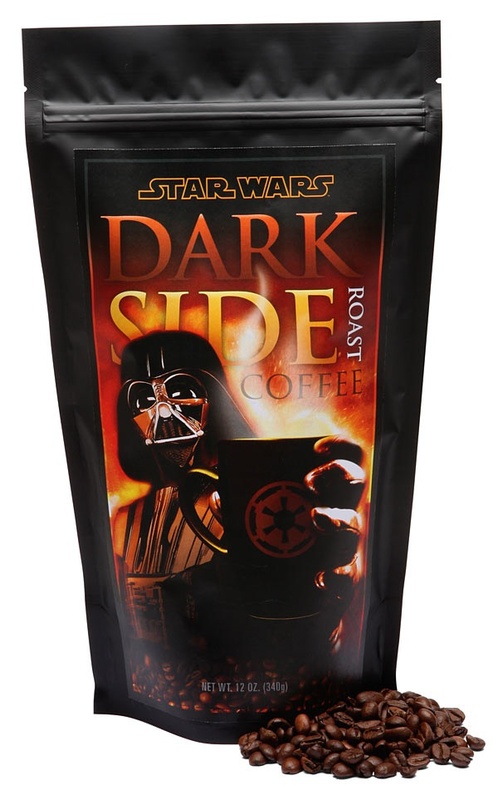 Get a taste of the Dark Side with this rich hand roasted coffee. Three diverse coffees and two different roasts create a full-bodied, sharp, cup with spicy undertones and smoky, dark-roasted complexity. Vader’s Dark Roast Coffee is commonly enjoyed by Dark Lords of the Sith while planning new Death Star construction, but give into your anger, sample a steaming cup and you will be rewarded with power beyond your imagination.